Shattered dreams. Shattered ambitions. Shattered life. Poverty, misery and dejection is written all over her face as she bears the burden of a heavy child strapped on her back walking down the road wearing torn canvass shoes and dirty old clothes. Her eyes show no life only her smile tells a long story of shattered dreams and a bleak future. She is frail, tired and weary but still walks on with the determination of a chameleon crossing a wide road. Occassionally, she pats on the child probably to silence the baby who is crying for food and suffering from the effects of this simmering heat. The young mother is totally neglected and drowning in misery and poverty. Her condition almost brought me to tears for the girl is too young to be a mother. Her peers are still at school but not so for this girl who was orphaned at a very young age and sexually abused at young age and now a mother before attaining 18 years! Life can be very cruel especially in a country where the wheels of justice are rusty, meaning that those who can oil them are deemed to be above the law. The girl who was bright at school was abused by his brother in law while staying with her sister. The abuse happened for a long period resulting in the young girl falling pregnant well before her 18th birthday. 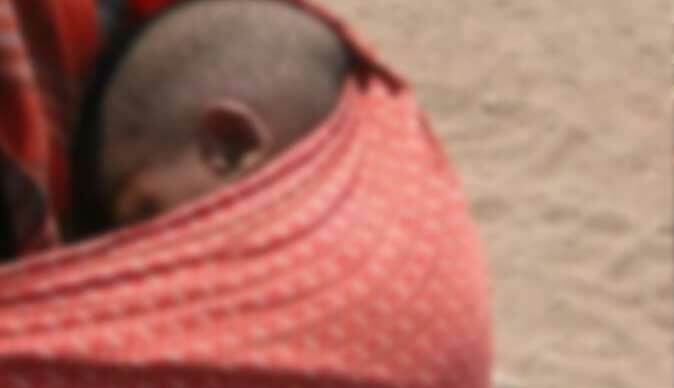 The responsible guy took the child to Hwange where it is alleged an abortion was attempted. All this happened without the knowledge of the young girl's family. Now the young mother is wandering from place to place with an extra burden of taking care of the baby. Surprisingly, in a typical show of flamboyancy and ego the abuser drives daily to and from work in an expensive BMW. The guy who works for Murowa Diamonds is well paid and has cash to lure and abuse school kids boasting that he is untouchable as he is related to the former MP and deputy minister. Surprisingly, daily we hear the same politicians lambasting child abuse and girl child marriages. This mere talk without severe punishment of perpetrators has destroyed the lives of numerous girls. These people who use money and power to abuse young girls must be castrated and incarcerated for life. Crying for justice for the girl child!